A new study confirms that Android users are more loyal to Android than iPhone users are loyal to iOS. While Android is definitely in the lead, the two operating systems are essentially neck-and-neck when it comes to loyalty. 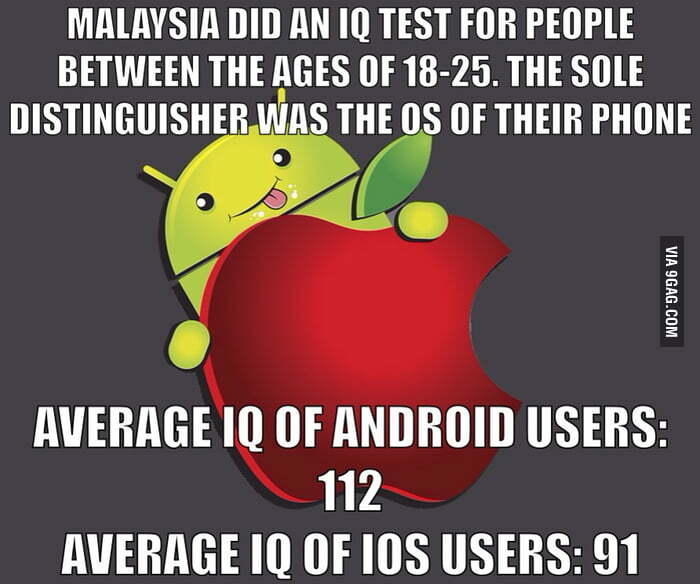 Still, that won’t stop us from touting how much better Android is than iOS, just like the good ol’ days. Remember when arguments about Android vs. iOS got so heated, that friendships were destroyed? Remember how both sides passed around memes making fun of how tech-stupid iOS users are, and how geeky and pretentious Android users are? Remember when we all just hated each other? Good times, good times. Well, let’s dredge up a bit of that animosity and talk about this new study that concludes Android users are more loyal to Android than iOS users are to iOS. It’ll be fun! According to Consumer Intelligence Research Partners (CIRP), right now, Android has a 91 percent loyalty rate, while iOS has an 86 percent loyalty rate. The figures are based on the percentage of surveyed US customers who stayed with their operating system when they upgraded their phone in 2017, and what it means is that Android users love Android more than iOS users love iOS, proving that Android is so much better in all ways. In fact, Android has topped iOS when it comes to operating system loyalty for over three years now. According to CIRP, the last time iOS users were more loyal than Android users was way back in early 2014. By the end of that year, Android loyalty triumphed, and it’s been that way ever since. How’s that walled garden going for you, Apple fanboys? If we look at this data, we see that the fight to gain users is Google’s fight to win, since the chances of iOS users jumping ship to Android is, as of right now, 5% higher than the other way around. Why would they want to stick with an OS that doesn’t even let them natively run two apps side-by-side? I mean come on, Android is clearly the king. 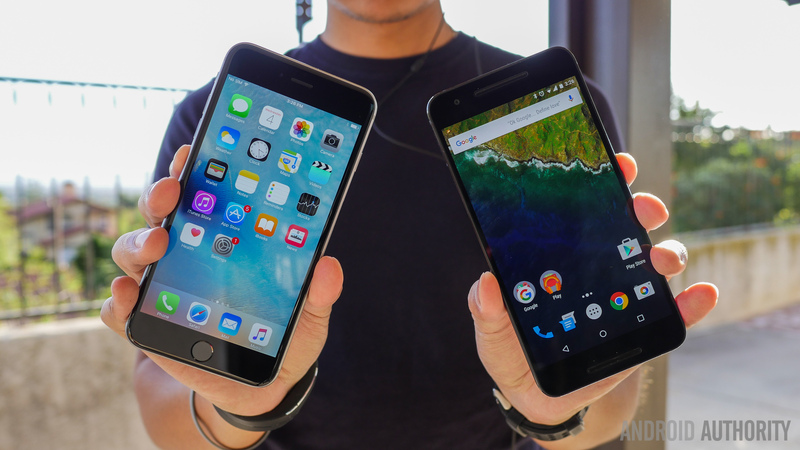 Back in 2013 we wrote "10 reasons why Android is still better than iOS." Three years later, almost all these points remain the same, but we’ve updated a few to keep them relevant. Wait a minute. That’s not good. That means more people leave Android for iOS than the other way around? That doesn’t support my narrow viewpoint of one thing being superior to another forever and for all time. Damn. I guess that means we have to go back to being adults and realize that Android and iOS share more similarities now than differences, and it really just is a personal preference of which OS you like better. Oh well. It was fun taking a little trip down memory lane.